Hi! In another thread I saw Prince Joachim promoting a book about Queen Ingrid? Could anyone tell me if this book is in English? Could anyone recommend good books about the DRF in english? 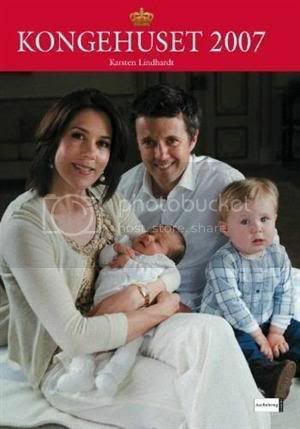 I would like know some books about the Danish Royals (in English) as well. So far, all the books I have found on them are in Danish. Such as Huset Glucksborg, Det Glücksborgske Kongehus, Christian IX (Konge af Danmark) etc. I know this isn't what you thought of, but I'll try to see if there are any particular books in English, aside from the one about Mary, and Queen Alexandra. This is a book I most certainly will buy - and not least - try some of the recipes Prince Henrik present in the book of French cooking in the 16'th century. This book is about the royal jewels of Denmark queens. "Intimité royale : Album privé de Son Altesse Royale le Prince Henrik de Danemark"
This is an album of prince Henrik of Denmark. Book about Alexandra of Denmark. 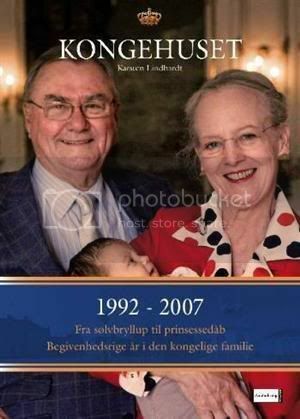 This is the official biography of Prince Henrik of Denmark. Every year, Karsten Lindhardt publishes a year book focusing on all the events in the Danish Royal Family during the past year. Jess, or anyone for that matter, ever purchased one of these yearbooks before? I was thinking about adding one to my royal book collection, but if you or anyone else believes it's not worth the asking, I might as well wait till someone sells a used one on Ebay for $2.00. 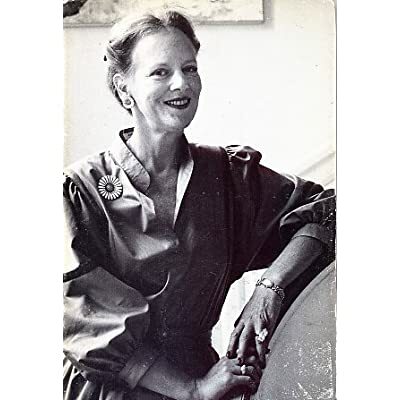 A book on Marie Cavallier's life prior to the wedding will be on sale from April 30th. Author is John Lindskog, and it will be published on People's Press. John Lindskog has previously been a journalist with Ekstra Bladet, Information, Billed-Bladet & Se og Hør, and published several books prior to this one. Apparently the book also covers the divorce between Joachim and Alexandra. I've managed to get through the book, and while it was an interesting read - however for anybody who has been reading Billedbladet, Se & Hør, or in any other way been following Marie and Joachim's relationship - it doesn't offer much new things about Marie or Joachim. I don't regret getting it, because it does give a nice overview of the process, which will be nice to have, but it doesn't bring much new things to the table. I liked that the author did name his source inside the Palace from Joachim and Frederik's childhood/youth, though. He could have spared himself with the chapter/list comparing Mary and Marie, though. Interesting, thank you Norweiganne. I would like to somehow buy a copy of the book to add to my royal book collection even if the book is below average. Will the book be published in English? How big a readership would a book like this have in Denmark??? Is there anyway anyone could give me some idea??? The conversation between the sisters move quickly, and as he also points out, you clearly get the feeling that the sisters each have a role in the family. Margrethe is definitely the most talkative one, and Benedikte seems quite content a lot of the time to be the middle child and let her sisters talk. It felt a bit superfluous to me, the constant pointing out they did with the age difference between them, but I think that's probably something that is different in live conversation than it comes out on page. The pictures, and the histories, are things that make this book well worth a peek. A young Queen Margrethe dressed up as Queen Juliane in a costume drama, a young Princess Benedikte dressed up in the Ruby parure that Mary now wears, as Queen Désirée of Sweden, and the youngest, Anne-Marie left with the part of playing Désirée's son, Oscar. All in all, I do think it could have been edited more, and for some it may not be asking critical enough questions (or receiving answers to the ones that are asked, such as if there has been trouble in the marriages...) But it was a fun read, and so much better getting the tales from the 1st hand source, so to speak. I'm very glad I picked it up. Sounds like an interesting read norwegianne - is the book available in English, or just Danish?